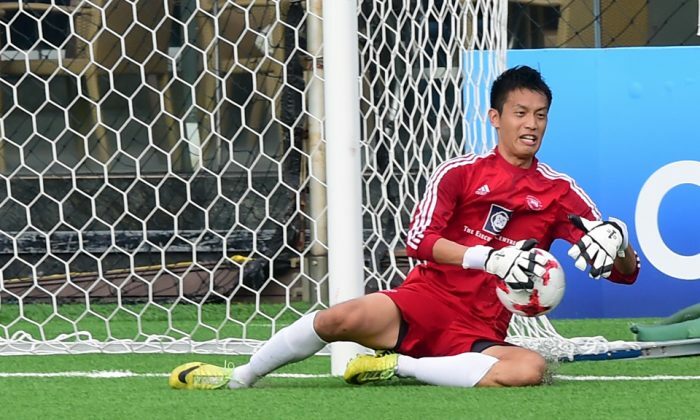 The HKFA Premier League takes a one week National holiday break. Hong Kong Pegasus lead the early table with 10 points after 4 matches, with Wo Foo Tai Po second on 8 points, Kitchee (game in hand) and Dreams FC third with 7 points each. HKFC lead the table with 18 points from 6 matches, with Sparta Rotterdam Mutual second with 16 points from the same matches, and Sun Hei and Sha Tin joint third with 13 points from the same matches. In the second division, Happy Valley were 5-nil victors over Kwai Tsing, Yau Tsim Mong drew 1-all with GFC Friends, Central & Western were 1-nil victors over Sai Kung, Sun Source were 1-nil winners against Fukien, Sham Shui Po drew nil-all with Fu Moon, Tuen Mun drew nil-all with Kowloon City, and Kwong Wah drew 2-all with Lucky Mile. Central & Western lead the early table with 15 points from 5 matches, with Happy Valley second with 12 points from 4 games, and Kwong Wah and Fu Moon joint third with 10 points from 4 and 5 matches respectively. In the third division, Golik North District were 4-nil victors over Ornament, Lung Moon were 2-nil winners against KCDRSC, Islands won 2-1 against KMB, Leaper St Josephs were 5-2 victors over New Fair Kui Tan, Kwok Keung were 3-nil winners against Freemen FC, and Tsuen Wan won 2-nil against Tuen Mun FC. Golik North District lead the early third division table being the only team with 9 points from 3 games played, with Leaper St Josephs and Kwok Keung joint second with 7 points from 3 games. In the first division, Albion were 6-2 victors over GAS, Wanderers were 4-nil winners against KCC Dragons, French Kiss won 3-1 against AFC Hearts, Colts were 4-1 victors over Baker Tilly Spartans, AFC Squadron were 3-2 winners against Swiss XI, and Carnegies Boca Seniors won 4-3 against Azzurri. Wanderers and Colts lead the table with 12 points from 4 matches. In the second division, Dynamo were 3-nil victors over Yan Po, ANP drew 1-all with IES, White Youth FC won 2-1 against GGFC, WYFC06 were 2-nil victors over KCC Knights, Maccabi HK were 2-nil winners against Antonhill, and HKU70’s won 3-2 against Colloids FC. HKU70’s lead the table with 10 points from 4 matches, with WYFC06 second with 9 points from the same matches, and ANP third with 8 points from the same games. In the third division, CSOB were beaten nil-1 by University, Power 22 wete 5-2 victors over Darts, Scorpions were 3-1 winners against HKSS, Green Cypress FC won 2-1 against Corinthians, Grasshoppers were 3-nil victors over HOB, and Goal Visio won 6-nil against BOC. Green Cypress FC lead the table with 12 points from 4 matches, with Goal Visio, Corinthians, University and BOC all on 9 points from the same games. In the fourth division, AFC de Wanchai were 2-1 victors over Bapcoll, Skyline were 3-1 winners against Standard Chartered, Hung Art won 3-1 against CAPS, Rising Sun were 5-nil victors over Friends of Barclays, WYFC84 were 2-1 winners against NFAA, and Gurkha International won 5-1 against Outward Bound. Gurkha International lead the table with 10 points from 4 matches, with NFAA second with 9 points from the same games. .